Player of Week History 2015/16 | Yankee United F.C. Emma is from Monroe, CT and has been with Yankee United for three years. She helped the U-13 Reign win the East Meadow tournament this past weekend by helping the defense not concede a goal in all four games. Emma was physical with her opponents, did a great job anticipating the play and winning the ball to help start the attack. Coach Rui states "Emma has come a long way since I started coaching her and it is because of her work ethic and persistence to improve. Emma is a very versatile player that I can use in many different positions. She adapts very quickly in any role I give her on the field and does what is asked of her. She has worked her way up and plays a very important role on this team"
Yankee United defeated East Meadow Pre-ECNL 1-0, Staten Island United 2-0 Massapequa 4-0 and tied Levittown Wildcats 0-0. 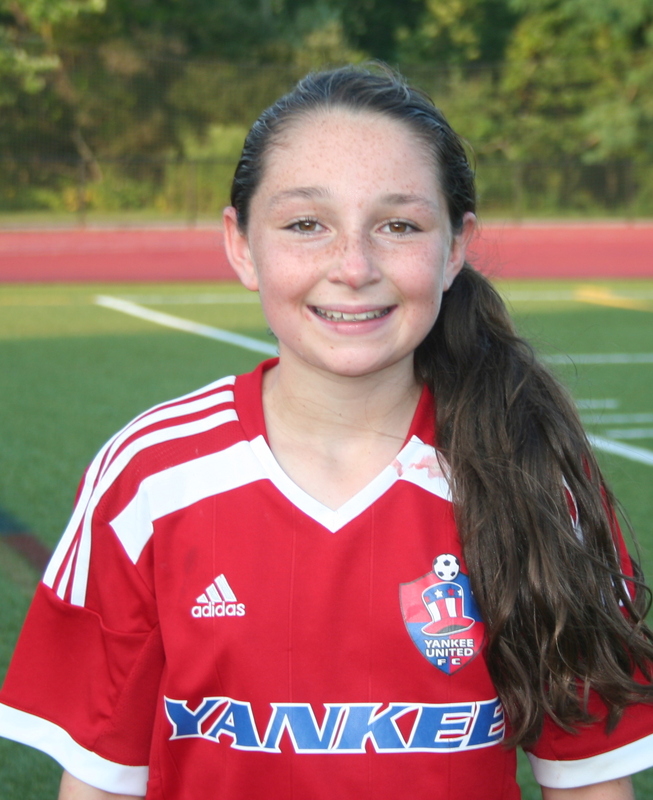 Jess currently lives in Oxford, CT and is going on her first full year with U14 Yankee United Blast. Jess, this past weekend, scored the game winning goal in a 1-0 victory against GPS-Elite NPL who is currently ranked #4 in MA & 10th in Region 1. "Jess is a great attacking player and is very dangerous around the goal. She has tremendous speed and innate ability to get in behind defenses to create goal scoring opportunities for herself and others. Her composure and skills also help her be such an effective striker. She has been an excellent addition to our team and I am excited to see her progression and continued development as a player," Coach Mones states. Rachel H is from Monroe, CT and has been with Yankee United for three years. 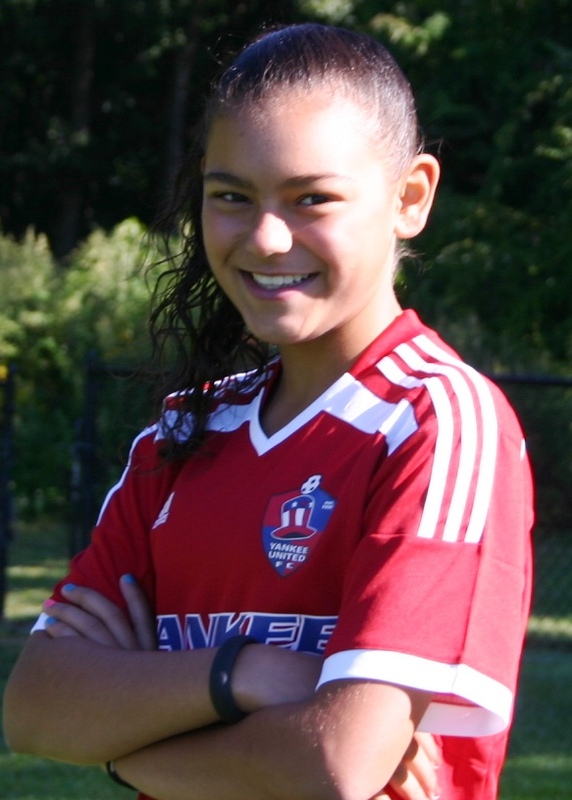 Rachel has been a strong defender and midfielder for the U-13 Reign this whole season. Against NEFC and GPS this season she sacrificed herself to save two goals. These games ended up 0-0 and 1-1. This past weekend Rachel helped the U-13 Reign secure a 3 to 1 victory against Syracuse Development Academy. Rachel did a good job involving herself in the attack out of the back. Coach Rui states, "Rachel is very valuable to this team and her teamates and myself included recognize that every game. I have never seen a player recover so well and sacrifice herself to save goals like she does. This season alone, she has kept us in games because of her effort to deflect shots. Rachel has a natural instinct to attack and win the ball from her opponents. We all love her personality and there in nothing that won't make her laugh"
Jazz is from Norwalk, CT and has been with Yankee United for two years. She scored 2 goals this past weekend, including the game winner over Aztecs NPL. Jazz was also part of a lock down defense that did not concede a goal on the weekend. Coach Mones states "Jazz is one of the most consistent players, she always plays the game with passion, a high intensity and always seems to be in the right place at the right time. Jazz is one of our main defensive leaders on the team and continues to improve her game offensively as well. Jazz is definitely one of those players who can play anywhere on the field and make a positive impact." Inter Regional All Star Team. Ellie Vassilakis, Kaleigh Panek & Emma Barefoot were named tri players of the month for January based on their stellar defensive performances at the Disney College Showcase played over New Years. The YUFC u17 Revolution, ranked #1 in Connecticut by Got Soccer, advanced to the final competition day defeating the New England Rush 2-1 garnering 3rd place honors, with a 2-1-1 overall record for the tournament. Early in the tournament the Revolution u17s defeated SC Waza 2-1 a team that had defeated the Revolution just 3 weeks prior at the CASL Final Four College Showcase. Goalkeeper Emma Barefoot(Greenwich), kept the Revs in the game making numerous acrobatic saves. In the 2-2 tie vs Vienna S C 4th ranked team in Virginia, center-backs Panek (Shelton) and Vassilakas (Monroe) shut down the high powered Vienna attack limiting them to 4 shots on goal. In the 3rd place game the twosome limited the Rush to just 2 shots on goal. Center Backs Kelsey Morgan and Kinsey Colby led the U16 Yankee United Heat team to a 3-0 record in their Manhattan College Showcase Tournament this weekend, which they finished first in the top division. 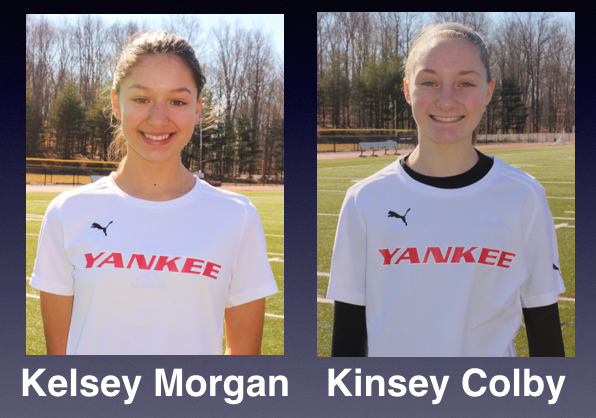 Both Kelsey and Kinsey were instrumental in their YUFC team recording shutouts in each of the 3 games. Kelsey resides in Woodbridge and Kinsey in Easton. YUFC Heat is currently ranked 3rd in CT and will be competing in the Jefferson Cup College Showcase beginning March 24th. 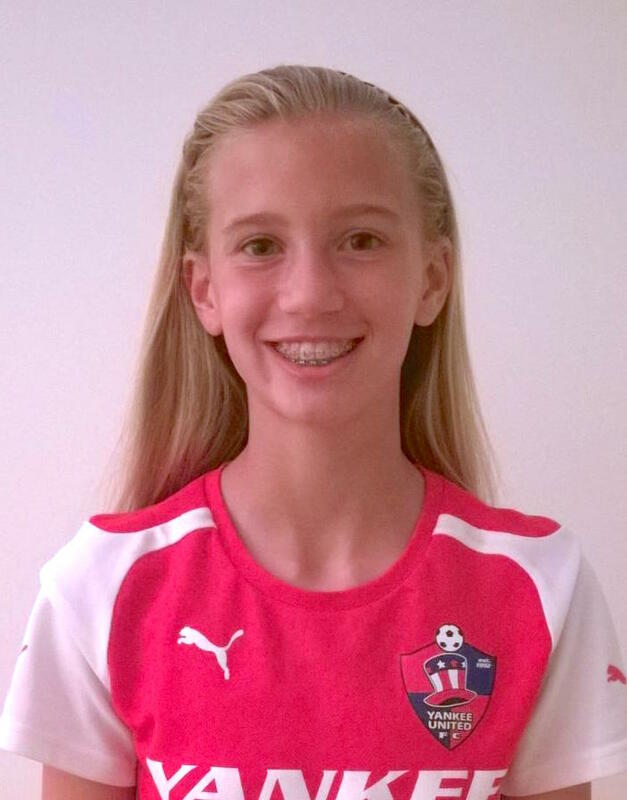 Victoria Corte-Real was nominated as player of the week for YUFC's U15 Flash Team. Her performance as Center Back was organized and disciplined on defense. YUFC placed 2nd in the top bracket of the Manhattan Kick Off Tournament. 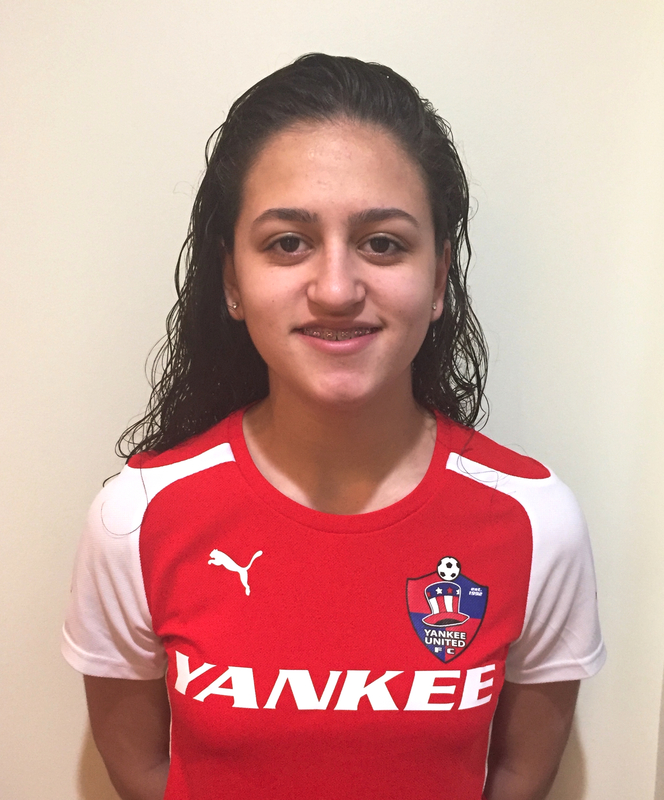 Victoria is from Danbury and this is her 2nd year with Yankee United FC. Julie Mizak is this weeks Yankee Player of the week. 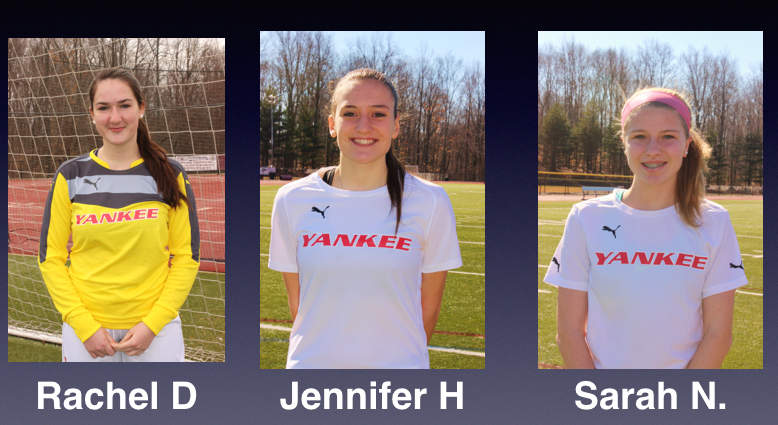 Julia resides in Trumbull and this is her second year with Yankee United FC. 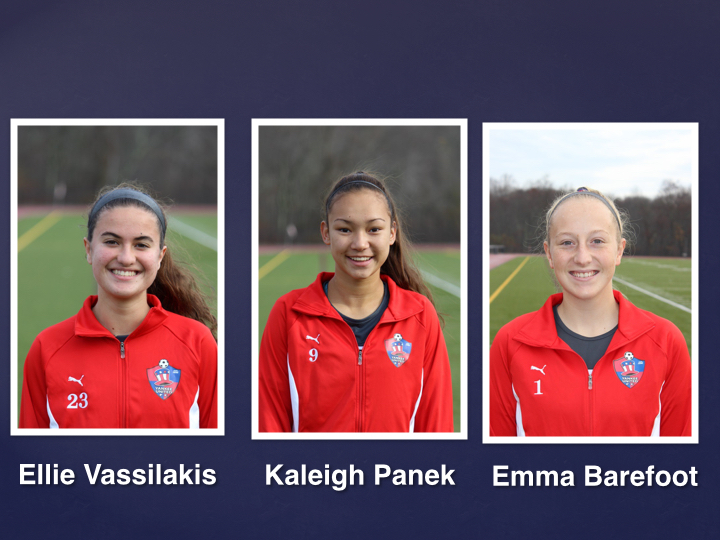 Chelsea Dommond, who resides in Stamford , was selected for YUFC player of the week as a result of scoring 4 goals in the U17s Yankee United Revolution 7-3 NPL victory over GPS. Chelsea a junior who is a student at Westhill HS. She has verbally committed to attend Northeastern University for the Fall of 2017 and is a member of the Region 1 ODP team. 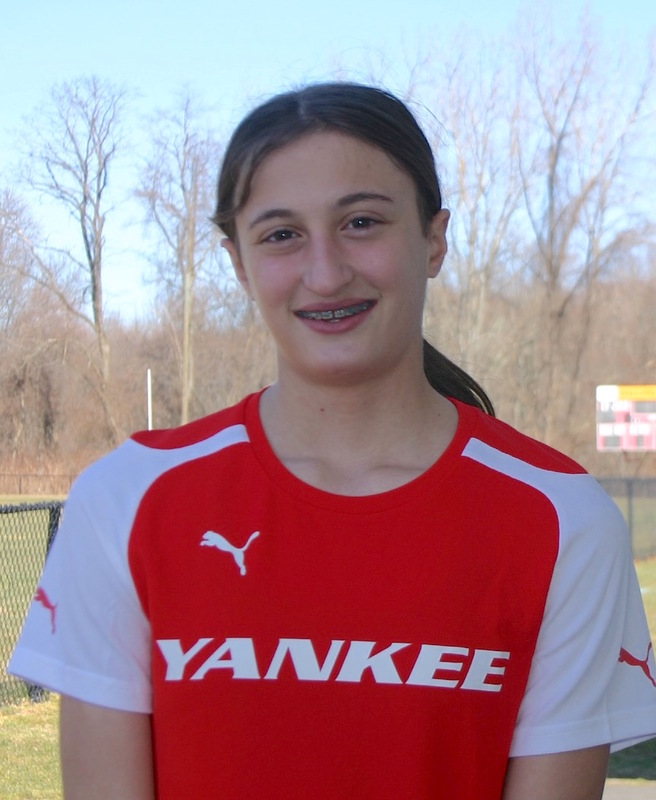 Christina DiCesare, from Easton, was selected for YUFC player of the week. 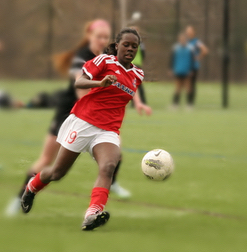 Christina led the U17's Yankee United Revolution to a 3-1 NPL victory over FC Stars of Mass West NPL. Christina is a creative player and demonstrates an outstanding work rate. This is Christina's 4th year with Yankee United FC. 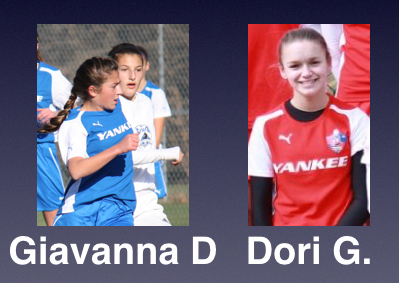 Dori Grasso (Shelton) and Gia Delorenzo (Monroe) led the NPL Yankee United Flash to back to back wins over Seacoast United NH 2-0 and Bayside Bolts 3-1 this past week, Grasso recorded a goal and assist while Delorenzo had two assists. Competing in the GPS Showcase top group, the Yankee United FC Heat NPL went 2-0-1 to advance in their group, defeating the CFC Wolves 1-0 in the Semi Finals before losing 4-3 on penalty kicks to the NEFC NPL in the finals. Starring for the Heat were forwards Jennifer Hauser (Bethany) 3 goals and 1 assist, Sara Nevolis (Orange) 1 goal and 2 assists and Keeper Rachel Debellis (Danbury) 4 combined shutouts. While the tournament ends the Spring season, members of the Heat team will be playing with the Yankee Academy throughout summer and are slated to play in the NY Cup in late July.